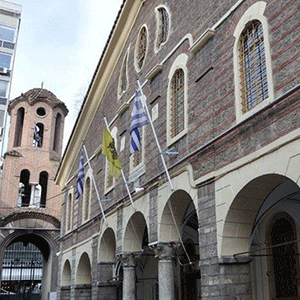 A fabulous and impressive exhibition of musical instruments from the ancient, the Byzantine and post Byzantine times in a restored three-storey building in the Ladadika district is located in the centre of Thessaloniki. 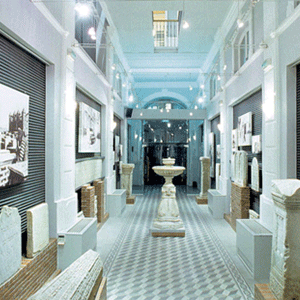 The museum belongs to the Bank of Piraeus and opened its doors to the public in 1997. The museum has an exhibition with more than 200 musical instruments in display, which existed between 2,800 BC and the beginning of the 20th century. The instruments were accurately reconstructed with the help of the Aristotle University of Thessaloniki aiming to be the museum’s initial collection. The instruments were reconstructed on the basis of pictorial and literary evidence (pottery, sculpture, figurines, illuminated Byzantine manuscripts) using the same materials mentioned in the original sources. Each instrument is accompanied by the pictorial evidence of its existence. It is possible for many of those instruments to hear their original sounds. A distinctive and impressive instrument is the seven-stringed forminx (ancient guitar) coming from the Minoan period as the double pipes with an air chamber coming from 5th century BC. 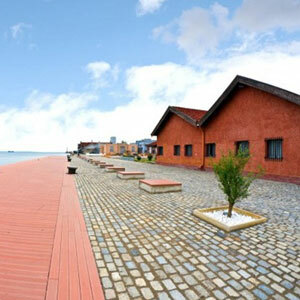 Not to miss is “the bagpipes” which were played on the Greek islands, in the area of Thrace and the Black Sea as well. It is a global archive of all evidence (pottery, sculptures, frescos, etc.) listed as Greek musical instruments from the Bronze Age till the 1830. The systematic collection and the electronic storage of handwritten musical codes from the Holly Mountain of Athos, state libraries and private collections. The scope of the department is to teach the ancient and Byzantine musical notation and how to play the ancient and Byzantine musical instruments.